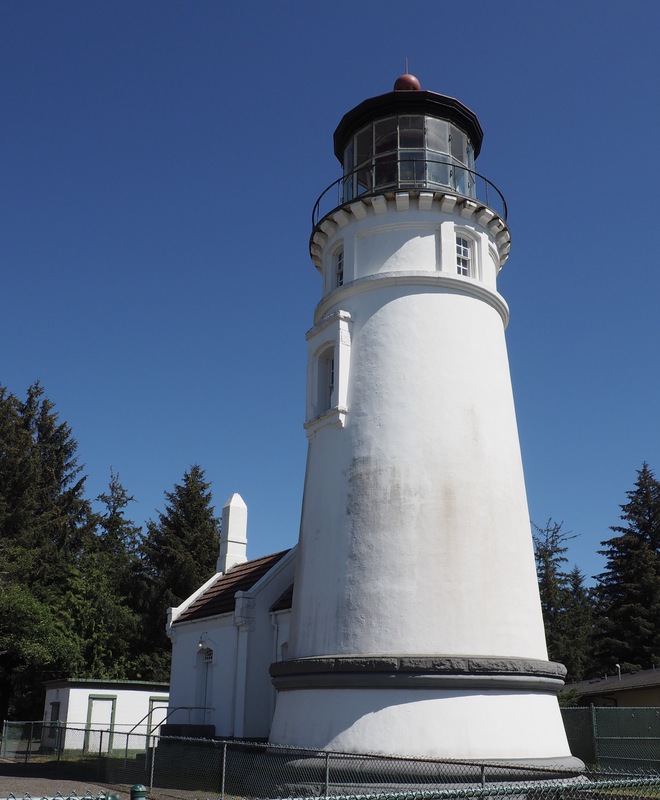 The camp host encouraged us to make the short walk to see the Umpqua Lighthouse not just during daylight, but also after dark. Intrigued, we bundled up last night and headed out to the coast, curious to discover what mysterious sights we might behold. Once the sun went down and dark settled over us, the signature beams (two white-one red) lit up the sky, continuously sweeping a circle overhead. As we turned and looked over the ocean we could see the light stretching out toward the horizon…visible more than 20 miles out to sea. While the first heatwave of summer bakes the Rogue Valley back home, we awoke to day four of our cool 2 1/2 week coastal escape. 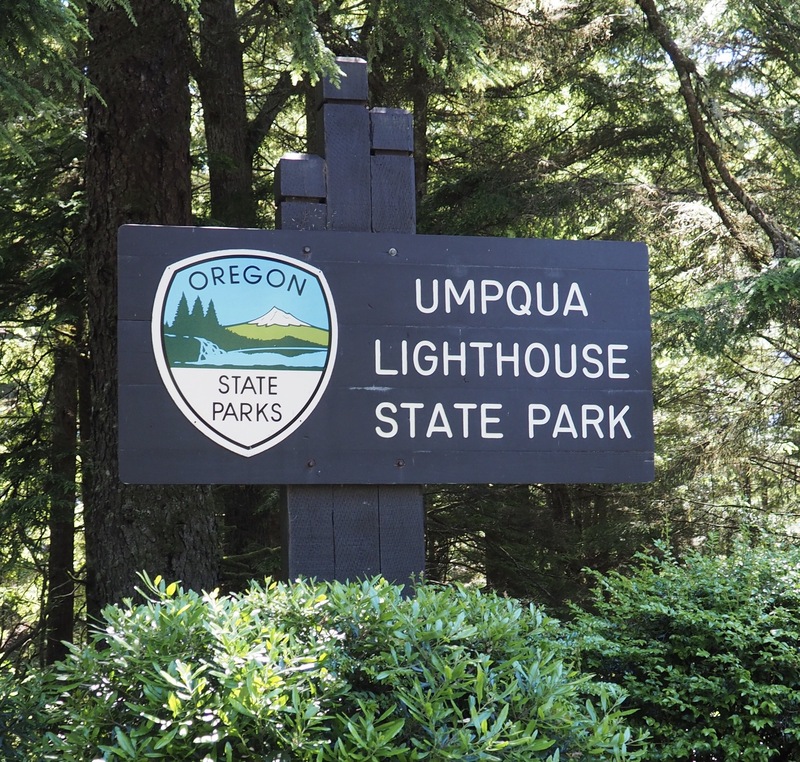 A note in our hiking book suggested the “not to be missed” Umpqua Discovery Center located on “Reedsport’s scenic riverfront boardwalk.” Somewhat skeptical, but wanting to stick close to our home base at Umpqua Lighthouse State Park today, we made the short drive north. Built entirely with grants and donations, the center is celebrating its 25th anniversary this year. Impressive displays, some interactive, explain the Natural and Cultural History of the Oregon Coast. Massive murals, painted by artist Peggy O’Neal, are beautifully done and anchor each of the many displays. We were told each mural took about a year to complete. Take in the views up and down the river from the boardwalk or grab a bite to eat at one of the neighboring restaurants. 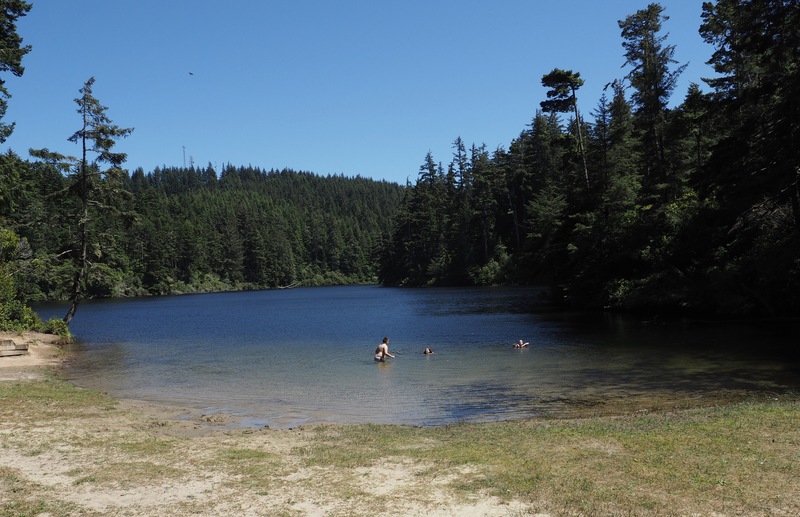 The Umpqua Discovery Center is located just off Highway 101 and Highway 38 in Reedsport, Oregon. Open daily with a reasonable admission charge. 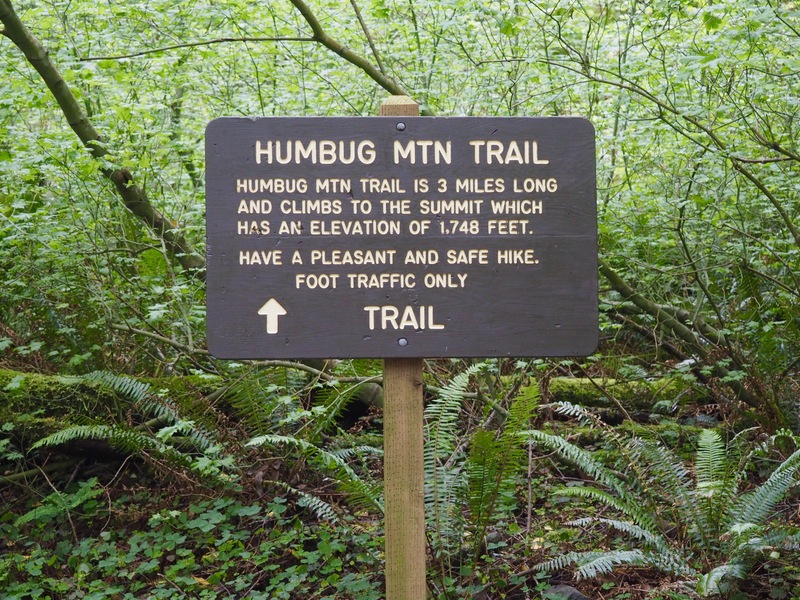 It’s been awhile since we’ve given our hiking shoes a real workout, so today we put them (and ourselves) to the test along the 5 1/2 mile Humbug Mountain trail. We hoped the promised ocean views would help distract us from the 1,748 foot climb. 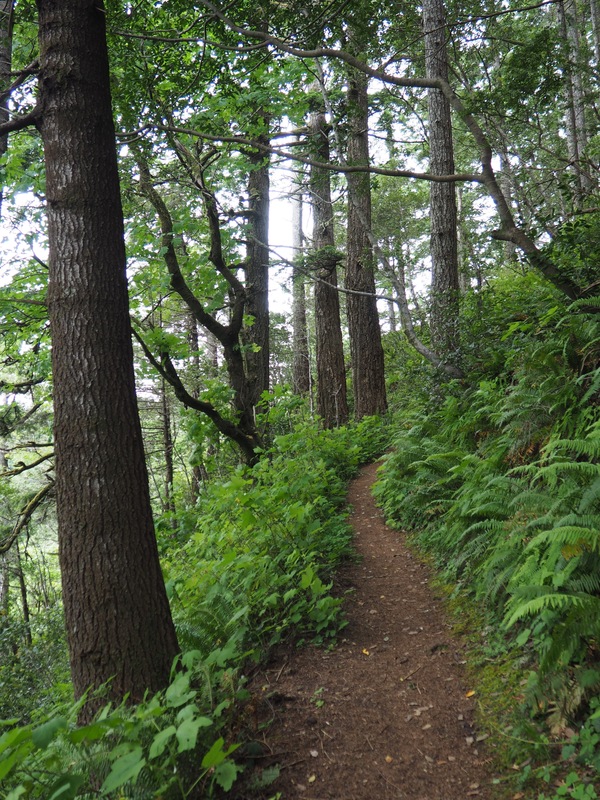 The trail immediately began to rise, eventually leading us through a dense forest of amazing old-growth Douglas Fir, wildflowers and ferns. 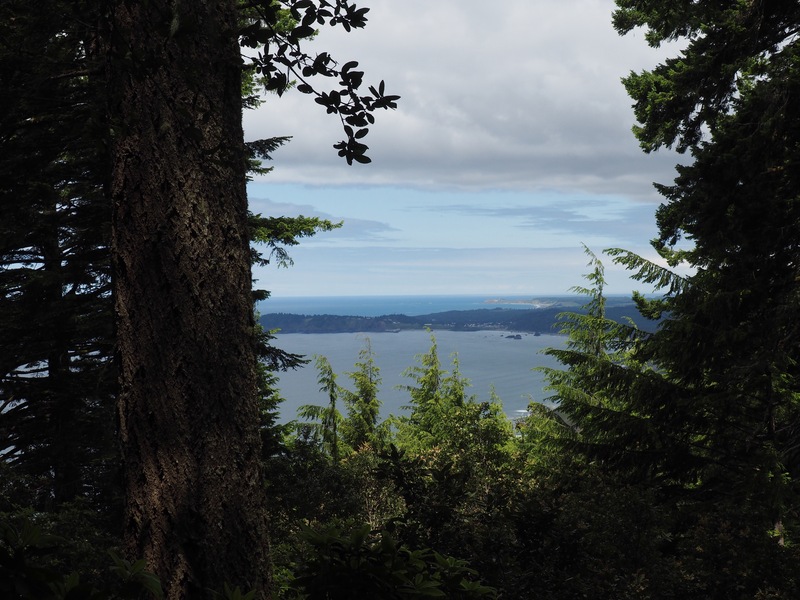 As switchbacks led us back and forth up the mountain, Reg began to wonder just when we would see those Pacific Ocean views. 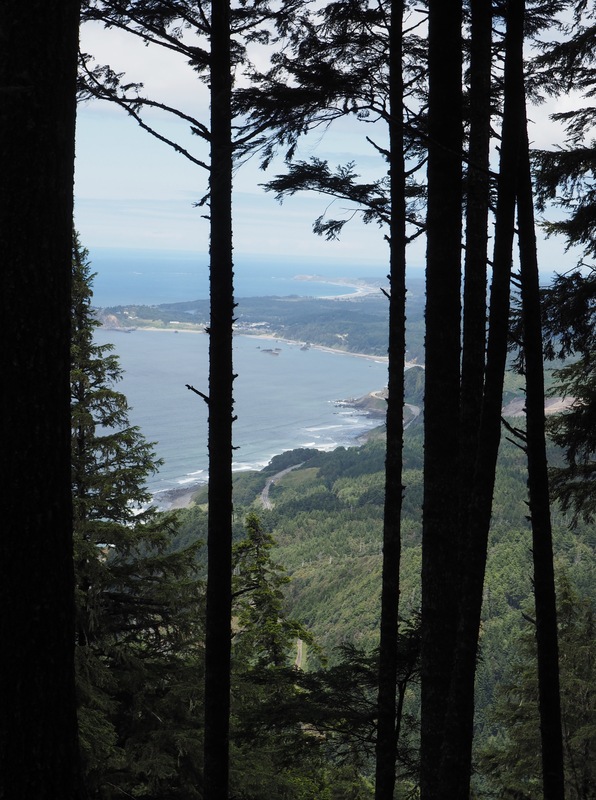 At last we arrived at a break in the trees and were rewarded with a view north, up the Oregon Coast toward Port Orford. 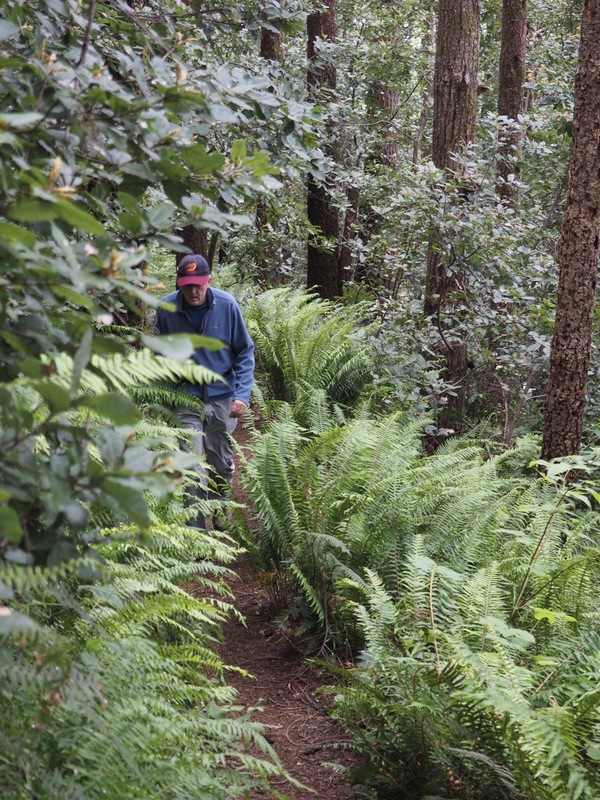 We snuck several more peeks before trees grew dense and the trail took a turn, continuing up, up, up. Surely, we thought, the view from the summit would be spectacular! 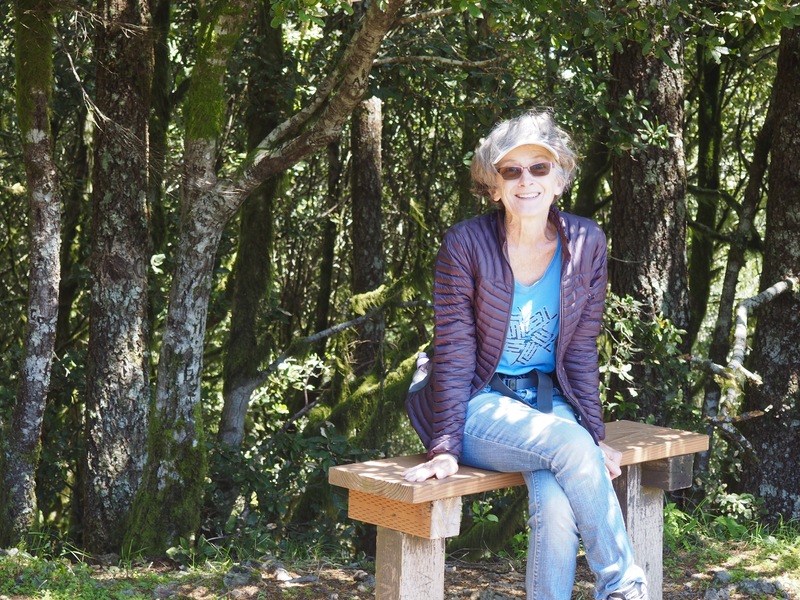 This little bench marked the end of the trail. While I rested my feet, Reg documented our achievement with a quick photo. 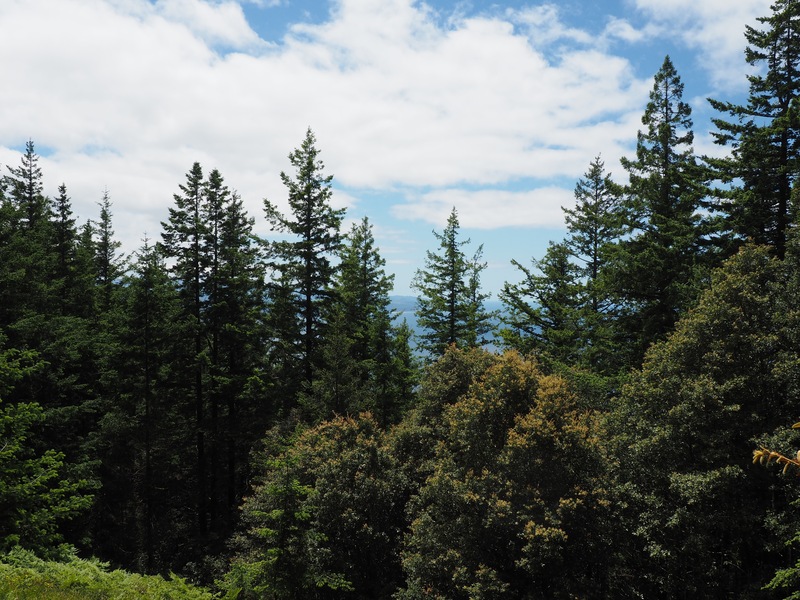 Unfortunately, as the last picture shows, trees have blocked most of the views from the top. Still, it was hard to be disappointed. 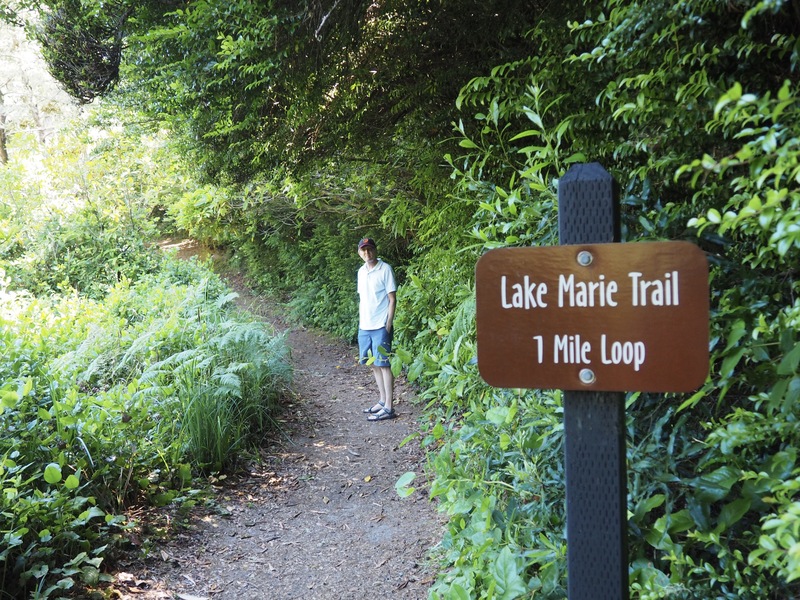 The hike was beautiful, we had made it to the top…and back down again…with plenty of energy to spare!